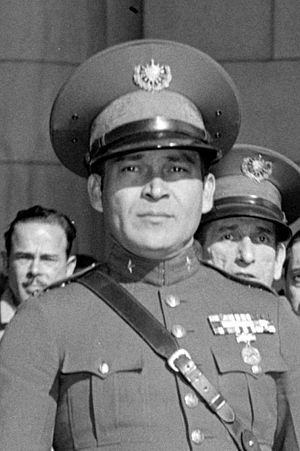 General Fulgencio Batista y Zaldívar (January 16, 1901 – August 6, 1973) was the military leader of Cuba from 1933 to 1940. He was President of Cuba from 1940 to 1944. In 1940 he won the election. 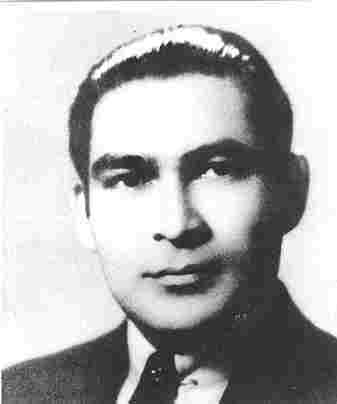 He then became the country's leader from 1952 to 1959. In 1952 he did a coup. His authoritarian government during this time caused opposition despite his attempt to placate critics with a 'show' election in 1954 were he ran without opposition. The opposition included the entire coalition that had overthrown Machado. Fidel Castro's guerrilla movement overthrew Batista. This is known as the Cuban Revolution. Batista died of a heart attack. The Pentarchy of 1933 was a five-man Presidency of Cuba, including José M. Irisari, Porfirio Franca, Guillermo Portela, Ramón Grau, and Sergio Carbó. Fulgencio Batista, who controlled the armed forces, is on the far right. 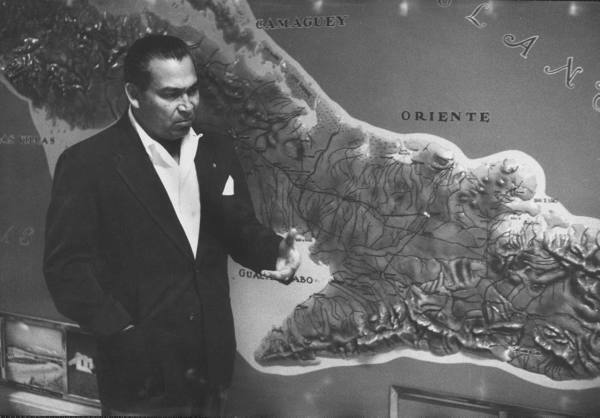 Batista in March 1957, standing next to a map of the Sierra Maestra mountains where Fidel Castro's rebels were holed-up. Fulgencio Batista Facts for Kids. Kiddle Encyclopedia.